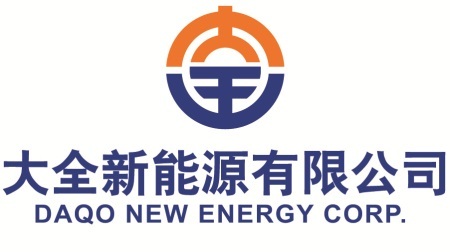 CHONGQING, China, Feb. 20, 2013 /PRNewswire/ -- Daqo New Energy Corp. (NYSE: DQ) (“Daqo New Energy” or the “Company”), a leading polysilicon manufacturer based in China, today announced the appointment of Mr. Dafeng Shi as a director, effective on February 21, 2013. Mr. Shi was serving as a director of the Company since its IPO until October 2011. Mr. Shi has been the vice president for finance of Daqo Group since January 2006 and currently holds directorship positions with five subsidiaries of Daqo Group. Prior to joining Daqo Group, Mr. Shi served as the vice president of Yangzhong Tianyuan Accounting Firm from 2000 to 2001. Mr. Shi received his bachelor’s degree in economic management from the Correspondence Institute of the Central Party School in 1997 and his associate degree in accounting from Nanjing University of Finance & Economics in 1992. Mr. Shi received his master degree of professional accountancy from The Chinese University of Hong Kong. Mr. Shi is a Certified Public Accountant in China. Mr. Shi will replace Mr. Fei Ge, who resigned from the Board of Director of the Company for personal reasons. Mr. Ge’s decision is not the result of any dispute or disagreement with the Company or its Board on any matter relating to the Company’s operations, policies or practices.